Java, J2EE, SQL, Frameworks, APIs, Exceptions and more..
StackOverFlowError is one of the common confronted JVM error. In this blog post lets learn inner mechanics of thread stacks, reasons that can trigger StackOverFlowError and potential solutions to address this error. 2. main() method invokes a() method. Inside a() method integer variable ‘x’ is initialized to value 0. 3. a() method in turn invokes b() method. Inside b() method Car object is constructed and assigned to variable ‘y’. 4. b() method in turn invokes c() method. Inside c() method float variable ‘z’ is initialized to value 0. Now let’s review what happens behind the scenes when above simple program is executed. Each thread in the application has its own stack. Each stack has multiple stack frames. Thread adds the methods it’s executing, primitive data types, object pointers, return values to its stack frame in the sequence order in which they are executed. Fig 1: Thread's Stack frame. In step #1: main() method is pushed in to the application thread’s stack. In step #2: a() method is pushed in to application thread’s stack. In a() method, primitive data type ‘int’ is defined with value 0 and assigned to variable x. This information is also pushed in to same stack frame. Note both data i.e. ‘0’ and variable ‘x’ is pushed in to thread’s stack frame. In step #3: b() method is pushed in to thread’s stack. In b() method, ‘Car’ object is created and assigned to variable ‘y’. Crucial point to note here is ‘Car’ object is created in the heap and not in the thread’s stack. Only Car object’s reference i.e. y is stored in the thread’s stack frame. In step #4: c() method is pushed in to thread’s stack. In c() method, primitive data type ‘float’ is defined with value 0f and assigned to variable z. This information is also pushed in to same stack frame. Note both data i.e. ‘0f’ and variable ‘z’ is pushed in to thread’s stack frame. Once each method’s execution is completed, then method and the variables/object pointers which are stored in the stack frame are removed as show in Fig 2. Fig 2: Thread's stack frame after executing methods. // Buggy line. It will cause method a() to be called infinite number of times. What are the solutions to StackOverflowError? There are couple of strategies to address StackOverflowError. Because of a non-terminating recursive call (as shown in above example), threads stack size can grow to a large size. In those circumstance, you must fix the source code which is causing recursive looping. When 'StackOverflowError' is thrown, it will print the stacktrace of the code that it was recursively executing. This code is a good pointer to start debugging and fixing the issue. In the above example it’s ‘a()’ method. This will set the thread's stack size to 2 mb. It might bring question, what is the default thread’s stack size? Default thread stack size varies based on your operating system, java version & vendor. Every single day, millions & millions of people in North America—bank, travel, and commerce—use the applications that RamLakshmanan has architected. 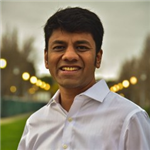 Ram is an acclaimed speaker in major conferences on scalability, availability, and performance topics. Recently, he has founded a startup, which specializes in troubleshooting performance problems. © 2019 JavaXp.com. Simple theme. Powered by Blogger.